Air Playit for Android connect your Android phone with the music library on your home computer/laptop via WiFi or 3G/4G network. You can access your latest music collection without having to sync on your mobile this will save your precious storage space on your mobile. Air Playit can easily stream AVI, MP4, MKV, FLV, MTS, M2TS, MOD, H.264/AVC, RMVB, HD TS, HD MOV, WMV HD Video to Android with fast speed. The app will not degrade the music/video quality, for best result always use Wi-Fi it also saves data charges. 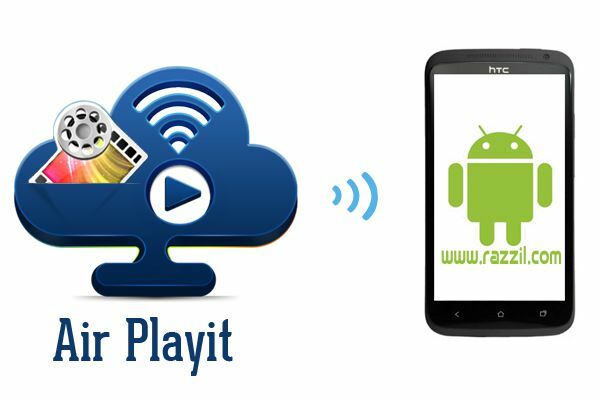 So basically Air Playit help you to Stream Audio/Video from PC to Android. The app allows you to choose to store the music/video in cache so that you can play the music/video when you’ve no network connection. 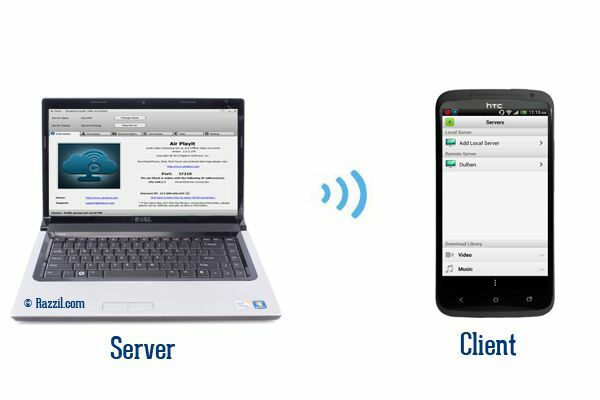 Air Playit works in two parts: A server client which can be installed on your desktop and a client app which can be installed on your Android phone. On your desktop, simply install the Air Playit and add the media directories which you want to stream. On your Android device start Air Playit client, it’ll automatically detects the server if not you can manually add servers to the app by entering the names and ip address. For complete guide, follow the official user guide here. Support streaming all 1080P/1080i HD videos to your Android, such as MKV, M2TS, AVCHD, TP, MPEG-TS, AVC and MOD. Support popular audio extension MP3, AAC, AIFF, WAV. Support regular videos including MPEG1/2, WMV, ASF, AVI, MOV, RM/RMBV, FLV, MP4, H.264, M4V, WTV, WebM. Support multi-audio tracks video and let you choose any language in the video file. Cache the music when it is played on your device for the first time. Directly stream and play the videos that have been converted by it or are in conformity with Android standard without converting again. Adjust video/audio quality and resolution for each video individually. Choose and adjust default video/audio quality, resolution and FPS for different network connection type including local WiFi, remote WiFi, 3G and 4G to get the highest video viewing effect. Specify permissions to the shared folders. Three permission levels are available: Admin, Kids and Public. Resume downloading at breaking-point. If you already started downloading the video, Air PlayIt can remember and lets you choose whether to download from where you left off, or to start over.